While duck hunting one morning, childless, middle-aged Nathan McCann finds a newborn abandoned in the woods. To his shock, the child—wrapped in a sweater and wearing a tiny knitted hat—is still alive. To his wife’s shock, Nathan wants to adopt the boy…but the child’s grandmother steps in. Nathan makes her promise, however, that one day she’ll bring the boy to meet him so he can reveal that he was the one who rescued him. Fifteen years later, the widowered Nathan discovers the child abandoned once again—this time at his doorstep. Named Nat, the teenager has grown into a sullen delinquent whose grandmother can no longer tolerate him. Nathan agrees to care for Nat, and the two engage in a battle of wills that pans years. 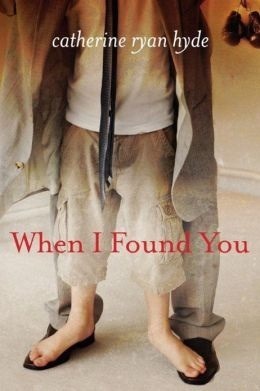 Still, the older man repeatedly assures the youngster that, unlike the rest of the world, he will never abandon him—not even when Nat suffers a trauma that changes both of their lives forever.From the bestselling author of Pay It Forward comes When I Found You, an exquisite, emotional tale of the unexpected bonds that nothing in life can break. Well written and I would definitely recommend! ~ Jeanne A.